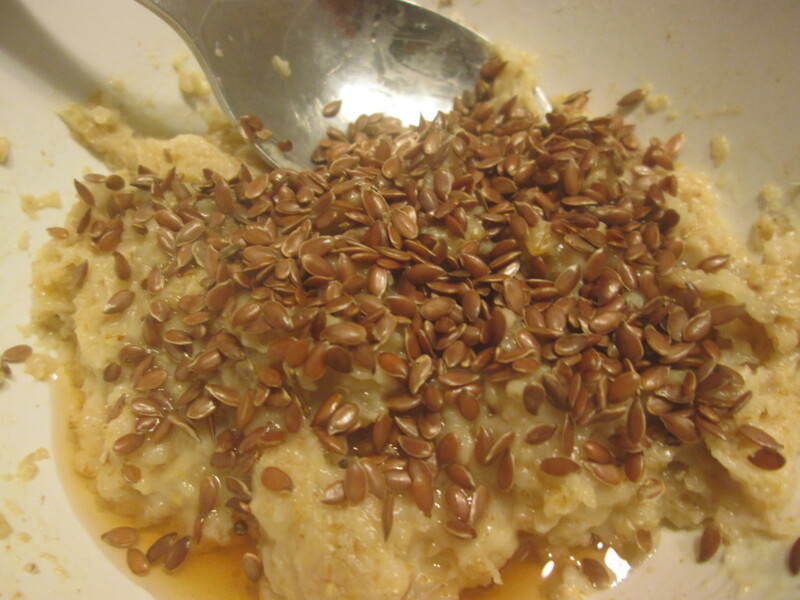 Flaxseeds are my new favourite thing and are bursting with goodness. They are one of the few foods to provide the body with omegas 3, 6 and 9 and can be eaten whole, ground or found as an oil and supplement. Omega 9 isn’t an essential fatty acid but it has anti-inflammatory properties and enhances the effects of omega 3. Flaxseeds are rich in the essential omega 3 fatty acids linoleic acid and alpha-linolenic acid, which are good for brain function and help to maintain a healthy circulation. Omegas 3 and 6 are also good for skin health. The active ingredient in flaxseeds is mucilage, which can soothe irritated and inflamed mucous membranes of the stomach lining and respiratory system, making them good for digestive health. They also act as an anti-spasmodic and laxative if soaked overnight and consumed. Their high fibre content adds to this effect. All in all, a pretty super seed and cheap compared to sunflower and pumpkin seeds etc – maybe people haven’t realised how good they are yet. I add them to my porridge every morning and they can be sprinkled on salads, on top of bread dough and whizzed in a smoothie. 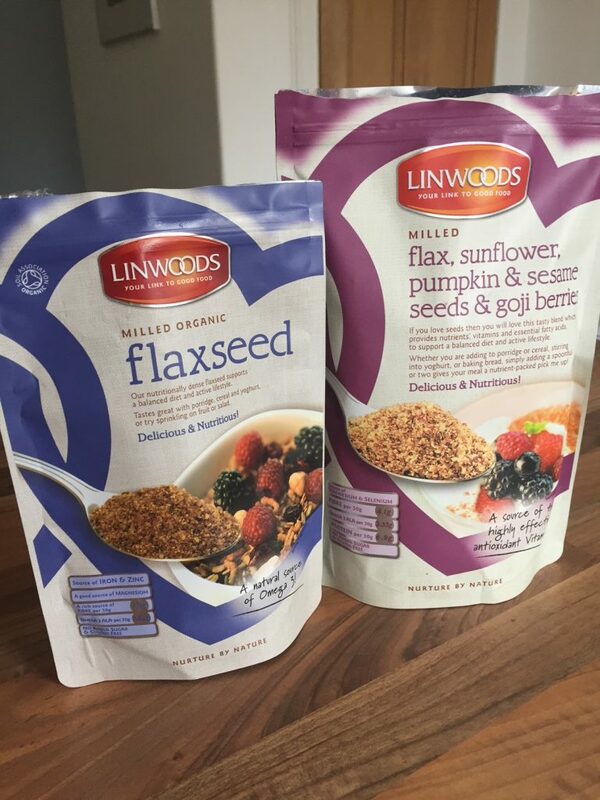 Linwoods do a good range of ground flaxseed with other bits thrown in too, like sunflower seeds, goji berries, pumpkin seeds. They also add things like vitamin D and coQ10 to some products. Posted in Good foods, Healthy eating and tagged anti-inflammatory, brain, digestion, essential fatty acids, flaxseed, food, health, mucilage, nutrition, omega 3, skin, stomach.